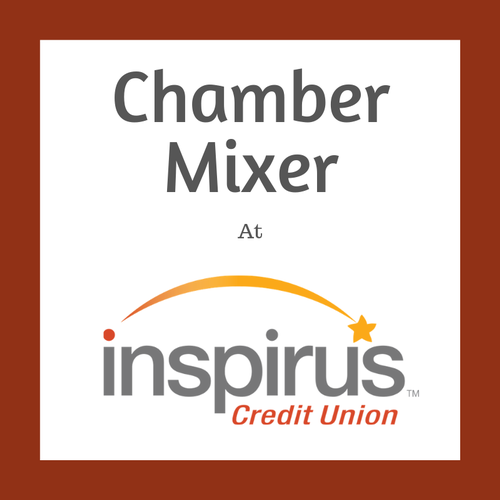 Chamber Mixers are on the 4th Wednesday of every month from 4pm-6pm. 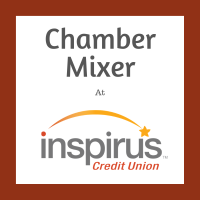 Inspirus Credit Union is a not-for-profit credit union valued most for their contributions to education. Their mission is to demonstrate a passion for education that transcends everything that they do. By building and sustaining lifelong financial relationships with members who share their passion, they will make a difference in education.